Join us as we emBARK on a journey into wildcrafting. 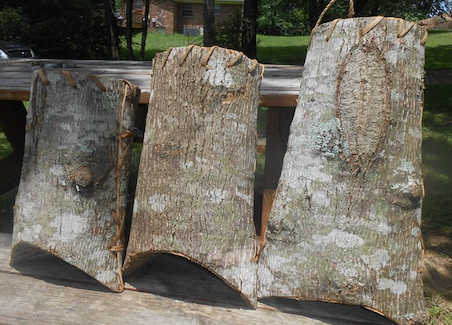 This is a hands-on class in which participants will be guided through the steps of making their own basket out if tulip poplar bark. All materials will be harvested directly from nature utilizing the unique properties of three native hardwoods: tulip poplar, hickory, and white oak. We will cover identification, harvesting and preparation of all materials, then take you through the process of assembling them into a beautiful basket. Bark baskets are ideally suited for picking berries and other wild foraging, but also right at home at the farmers market or on the wall. This is a traditional craft right out of Appalachia and has been used by generations of folks who lived in deep connection with the land. By the end of the class you will have your own handsome basket ready to take home and fill. This class will be held at Shiloh Farm and taught by Josh Barnwell.